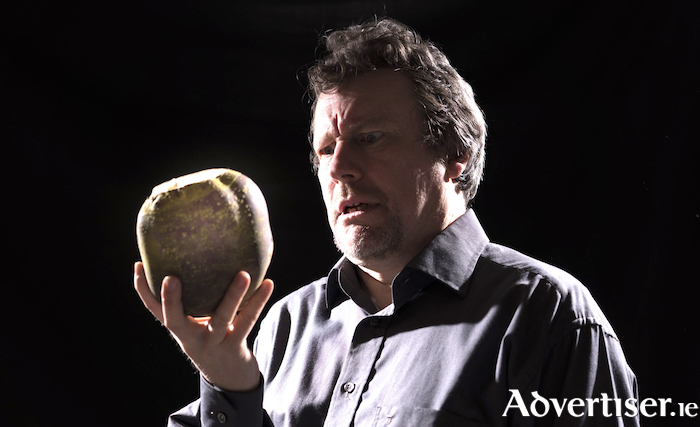 Karl McDermott ponders the mysteries of the turnip. KARL MACDERMOTT, the Galway born writer whose short story collection, Juggling With Turnips, was published earlier this year, reads at the next Over The Edge in the Galway City Library. MacDermott helped co-founded The Comedy Cellar at The International Bar in Dublin with Barry Murphy, Ardal O’Hanlon, and Kevin Gildea in 1988, and had successful runs in The Edinburgh Fringes of 1991-93. Moving to writing, he scripted the radio comedy series Gone But Forgotten and Here’s Johnny on RTE Radio 1, and The Mahaffys on BBC Radio 4. Juggling With Turnips (Eyewear Publishing ) was described by the Sunday Independent as "a very funny book - the writing is clever, self-deprecating in a kind of Irish Catholic Woody Allen manner." The Irish Times called it "funny and perfectly constructed... a wild imagination with wit and wisdom on the human condition". Over The Edge is on Thursday September 27 at 6.30pm. Also reading are 2017 Over the Edge New Writer of the Year winner Michael Sheehan, and Mikayla Kelly. The shortlist for this year’s Over The Edge New Writer of the Year competition will be announced. The MC will be Susan Millar DuMars.